Made his debut with KS AWF Mickiewicz Team Polska Katowice (Poland), 1 Liga, during the 2005-06 season. Signed for the 2006-07 season by UMKS Piotrcovia Piotrkow Trybunalski, 2 Liga. Signed for the 2007-08 season by Big Star Tichy, 1 Liga. Signed for the 2009-10 season by Polpharma Starogard. Signed for the 2010-11 season by PBG Basket Poznan. 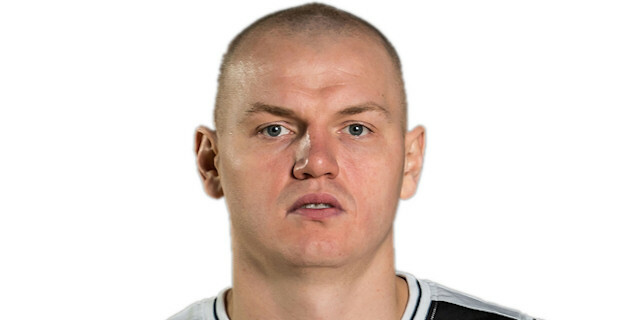 Signed for the remainder of the 2011-12 season by PGE Turow Zgorzelec. Named the 2014-15 Eurocup Last 32 Round 5 MVP. Played the 2010, 2012 and 2014 Polish All Star Game. Played at the 2006 and 2007 European U-20 ‘B' Championships.